“Cloud Bashers” surprises with a fresh setting, cool hand-drawn doodle-style graphics, and some squeaky retro tunes, that are completing the picture of a well-down indie game. 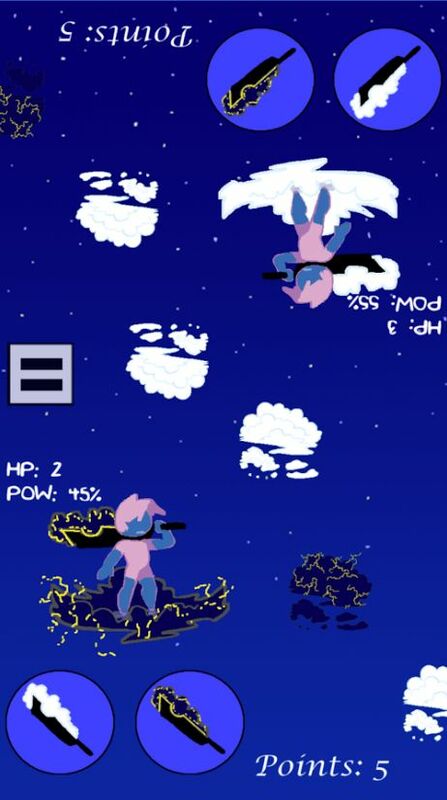 The simple, yet genius idea to fight different cloud types with different bats is brilliant as it adds some variety and tension to the game. Also, adding bosses was a great idea as it is always recommended to issue a challenge to users to prevent boredom. Overall, it’s a well balanced and entertaining gaming experience. On the con side, “Cloud Bashers” suffers from the same indie disease like Cylynder Warp, Mosaic Ball or Battle of the Pucks: Inconsistency. If this game is meant to look like a doodle from a sketchbook, then why they don’t follow through with it? Shattered Journal Games should bring every single graphic into line with the doodle style, without any exception (especially, if you take a look at the four different fonts shown in this game, each one uglier than the last). My suggestion: no serif font, no impact, not even buttons without that hand-drawn touch. You’ve made that decision and I want you to stick to it! This angry kite is the first boss enemy. 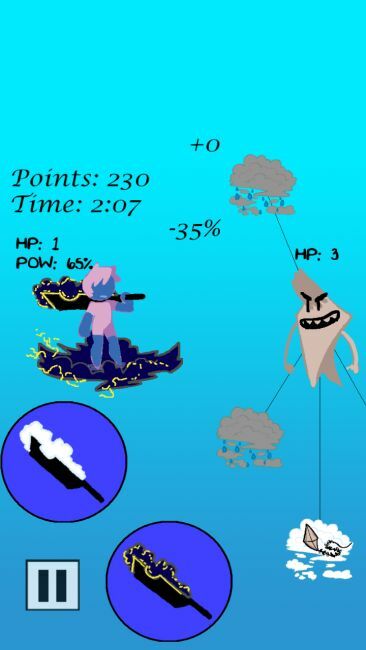 Cloud Bashers is an innovative, entertaining arcade game with challenging boss fights and a charming doodle style, of which we’ll hopefully see more in the future. Download the game here. All pictures are in-game screenshots or taken from the Play Store Page.